Welcome to Park City Woodworks, where custom creations are the heart of our business. Park City Woodworks specializes in custom cabinetry, custom built furniture, kitchen remodels, custom home office, built-ins, and closets. We use master craftsmanship and the highest quality products, always. When you're planning to build a new home or remodel an existing one, your cabinets can truly influence the entire home. They can BE the decor, or simply complement it. They can hide your treasures, or show them off. One thing is for certain...they should be functional and durable, yet reflect your style and the spirit of your home or office. The beauty of Park City Woodworks custom cabinetry is the versatility and creativity we offer. Whether you are finally completing that kitchen remodel, expanding your home office, or building your dream home, Park City Woodworks will listen and create. And whether your style is mountain rustic, shabby chic, or contemporary and modern, Rob Braggins with Park City Woodworks can make your vision and dream a reality. Call anytime for a free estimate on your next project - 719-836-3144 or email parkcitywoodworks@gmail.com. Rob is a Colorado native and moved from Denver to the Alma area in 1980. He’s happily married and raising his two children in the mountains of Colorado that he loves. 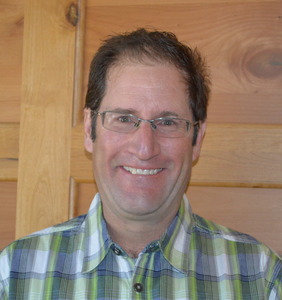 Rob worked in the construction industry in Summit and Park counties for several years, but his love for woodworking and his artistic flare inspired him to open his own custom cabinetry business in 1989. Park City Woodworks has been successfully building custom kitchens and cabinets, custom built-ins, entertainment centers and other fine woodworking in Summit, Park, Eagle and El Paso counties for more than 25 years.